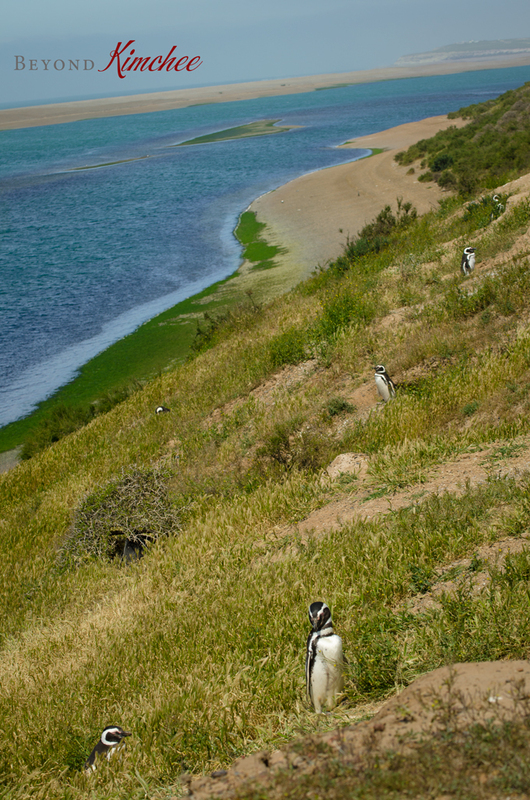 Spring has sprung in beautiful Argentina, and my family had a fabulous trip to Puerta Madryn in the region of Patagonia last weekend. Whales and penguins in their natural habitat are things that I’ve always wanted to see. I finally had chance to behold the beauty of these animals up close. 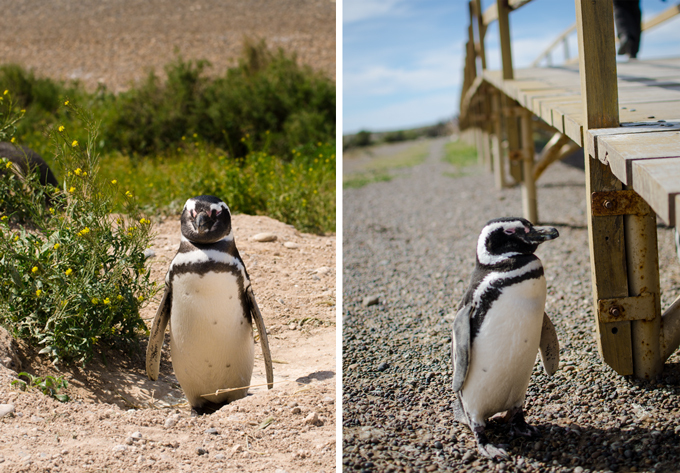 We awoke at 3am to catch a flight to Trelew, then drove 2 hours to get to Puerta Madryn, a beautiful harbor city on the eastern part of Patagonia. 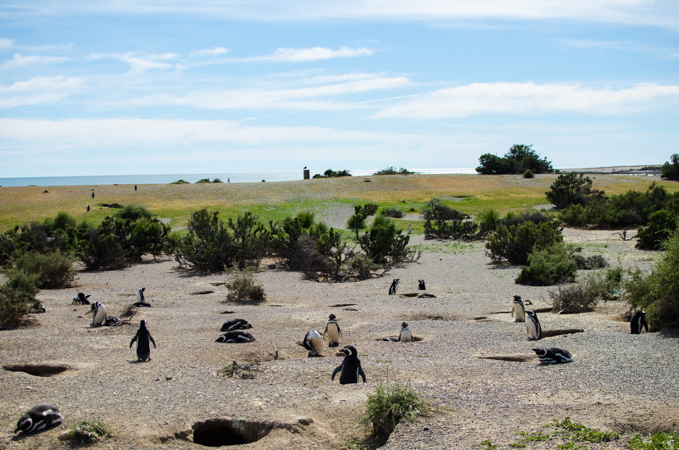 Without any time to rest, we drove on to Puntu Tombo to see the Magellanic penguins in their habitat. The scenery was breathtakingly beautiful! So were the Magellanic penguins. 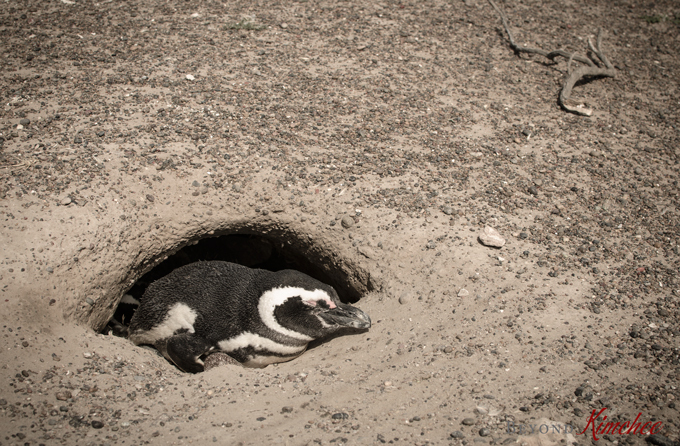 Magellanic penguins swim 3,000km to migrate to Brazil in the winter and come back to Puntu Tombo in the spring to lay eggs. 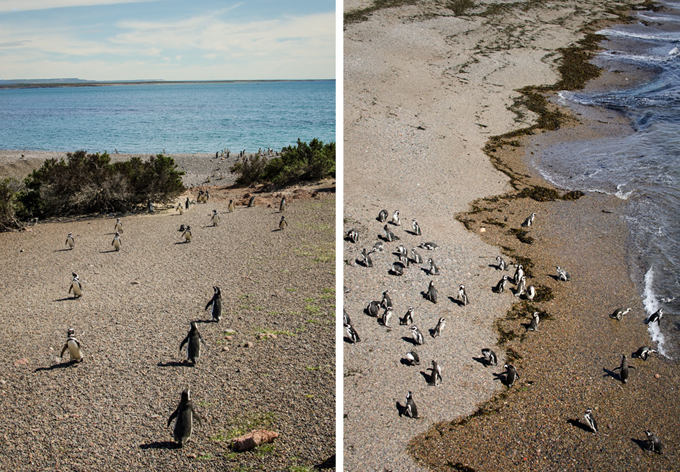 One amazing fact about these penguins is that they find the same hole (their nest) where they laid the eggs in the previous year. Interesting, isn’t it? Hope you enjoy some of their portrait shots I took. 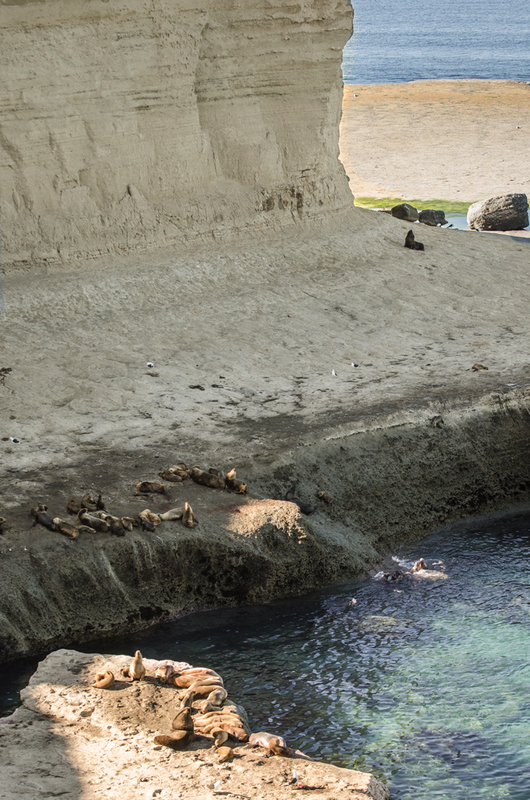 Sea lions and elephant seals are also found in Peninsula Valdés, an almost island-like gulf area of Puerta Madryn. 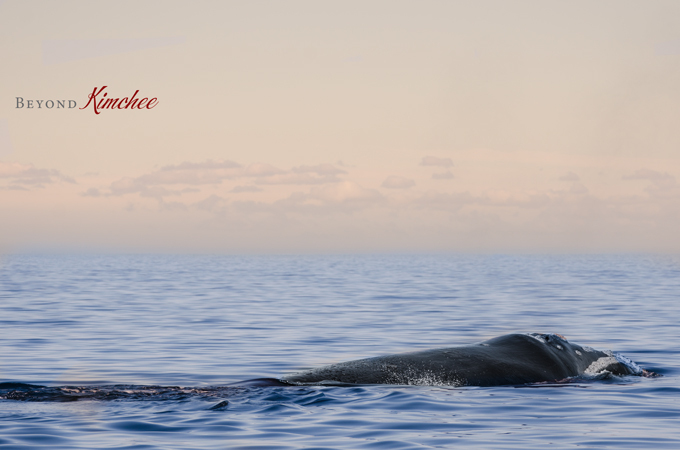 The most magnificent experience at Peninsula Valdés is to watch whales in the ocean very closely. 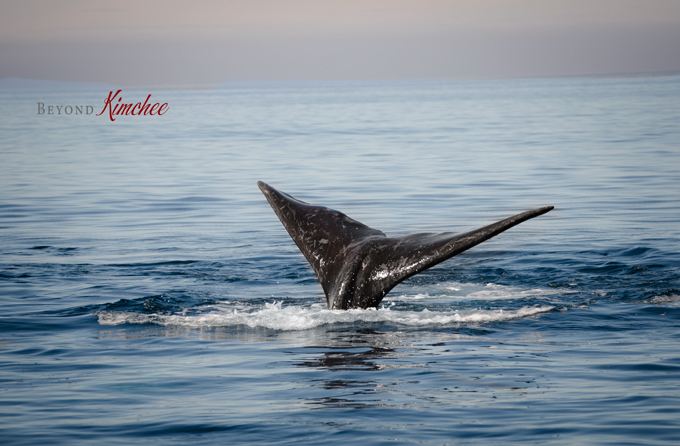 We saw a few mothers with their baby whales playing together in the water. 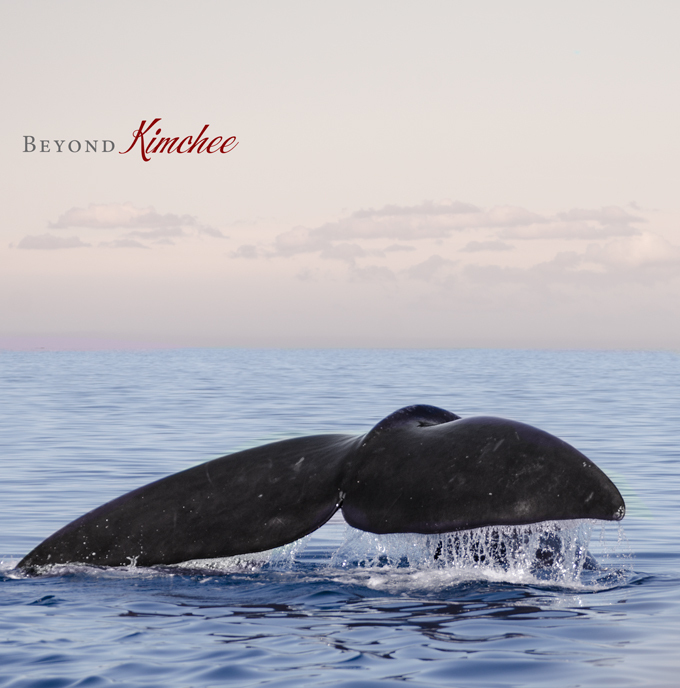 The mother whale is teaching her baby to swim in balance along with her so that she can feed her breast milk in the water. Quite neat to see them hopping and jumping. Growing up near the ocean myself in Korea, it was a great joy to see the wide open ocean with the great breeze. What majestic scene it was, to see these beautiful animals living in our planet that we share! There is so much beauty on our planet, and as long as we take responsibility and take care of them, nature will take care of us. I am beginning to love living in Argentina. These photos are amazing! You are so talented, Holly. 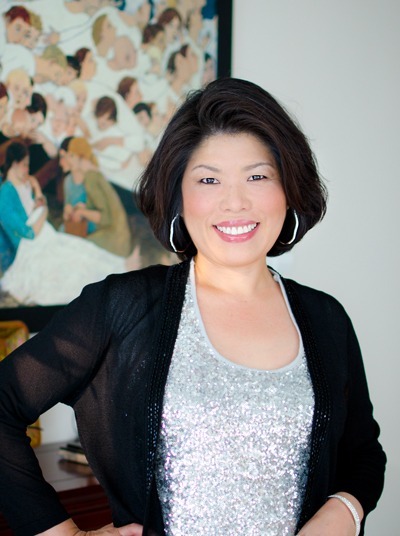 Thank you for sharing the photographs, Holly. Traveling to South America, especially Argentina, has been my dream for so long. 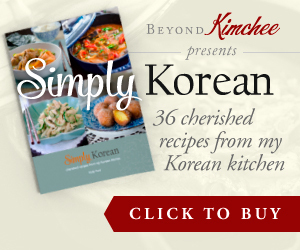 The photos are breath taking, and you capture the beauty of the nature so poignantly in your writing. Thank you for letting me experience Argentina vicariously for the time being. Can't wait to see it some day. I hope you get a chance to visit Argentina. It is a beautiful country and so much to see and enjoy. I love your penguin photos! So neat! These shots are so beautifully taken. Holly, those whale tail shots are beautiful! I feel like I'm there watching with you. Thanks Sarah. I wish you were there with me to watch together. It was a great view. Wow! This looks like a fabulous trip.